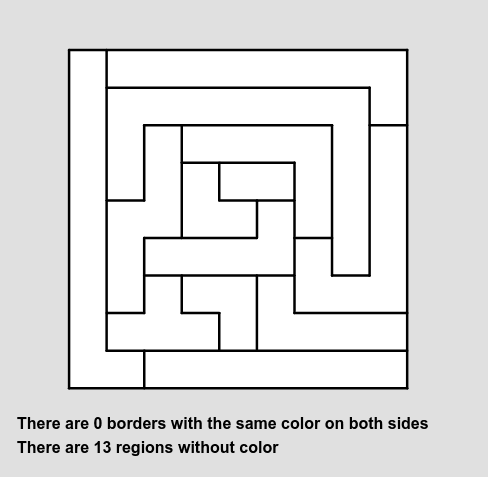 Complete the coloring of this map, so that no two adjacent regions are the same color. You can only use four colors: Blue, Green, Red, and Purple. 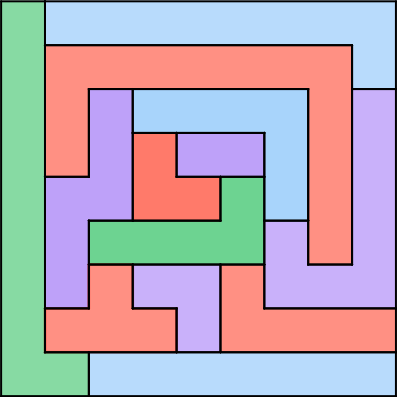 Click on the regions (quadrilaterals) to color them. To change the color, click again on the same region.